Although my children have been going to New York City every year for the last 9 years, we have only just completed visited all of the major tourist attractions in Manhattan. Why? The crowds, the lines and the expense. I can only cope with a couple of sightseeing options per trip before we go do something more off the beaten path. I feel New York City is crowded enough without immersing yourself in hordes of tourists. This recent trip we visited so many more of the top Manhattan attractions thanks to the New York City Pass. We used the New York City Pass for a 3 day visit to New York City and easily covered all the major attractions. Thanks to City Pass you, too, could have an easy time sightseeing in New York. Check out the bottom where I am giving away 2 adult New York City Passes to one lucky reader. You will get fast and easy access to 6 of the top attractions in New York City with the City Pass. The New York City Pass saves you money and time. You don’t have to wait in the long lines (and, trust me, there are always lines at these major attractions). So many people have seen these monuments on television and film that they are always at the top of the list for visitors to New York. The American Museum of Natural History is housed in a gigantic building on Central Park West. There are exhibits, a library and a planetarium. 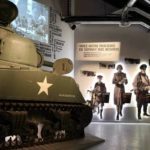 Although wonderful with children, the museum is a treasure trove for adults too. 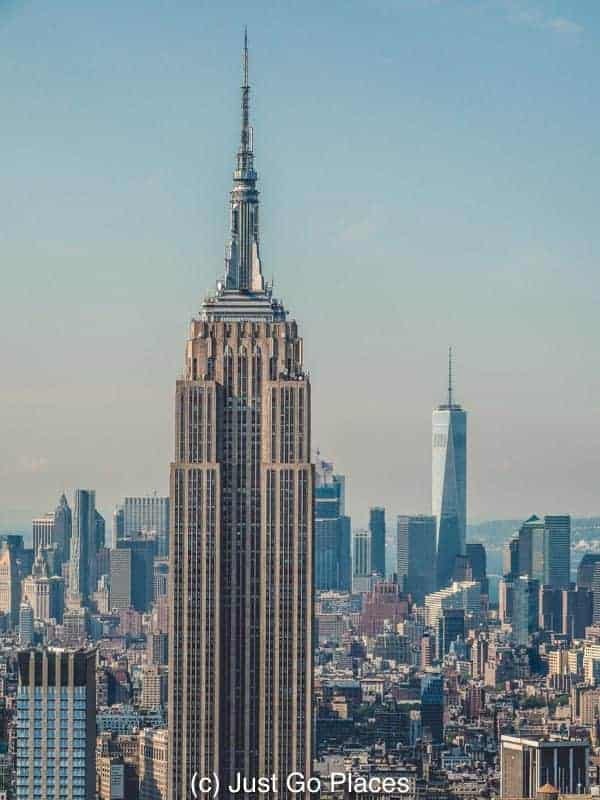 The Empire State Building Experience takes you through exhibits related to this Art Deco building and then up to the top viewing floors. Recently renovated, the Empire State Building is gleaming from top to bottom. From the Top of the Rock, you can see both the Empire State Building and One World Trade. The Metropolitan Museum of Art has a diverse collection of art spanning over 5000 years of human creativity. It is the most visited museum in New York City. The Top of the Rock Observation Deck gives you a view of New York City 70 floors up from the middle of Manhattan. Unlike the Empire State Building which is further away, you get a clear unobstructed view of how Central Park is laid out. 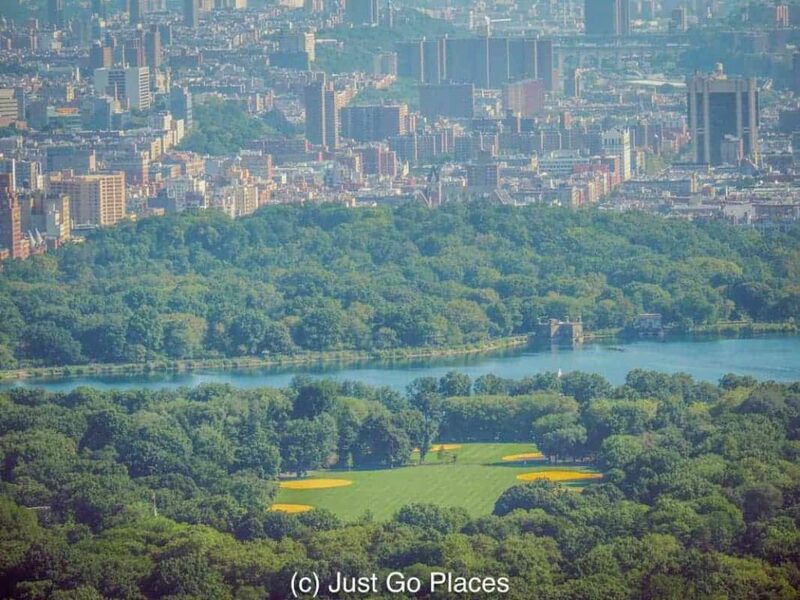 The green space of Central Park is a lure for New Yorkers and tourists alike. The Guggenheim Museum is world-famous for both its modern art collection inside and Frank Lloyd Wright’s architecture on the outside. The Statue of Liberty is a well-known American symbol where you can walk around the base. With extra tickets which you have to get far in advance, you may be able to go inside the statue as well. Ellis Island Immigration Museum is where over 12 million immigrants came into the USA and has lots of exhibits on the immigrant experience. The Great Hall where millions of immigrants to the USA were processed. The Circle Line takes you on either an hour cruise or a 30 minute speedboat ride (during the summer) around Manhattan’s famous skyline. The 9/11 Memorial and Museum pays respect to the nearly 3000 victims of the terrorist attacks on the World Trade Centre on 9/11. 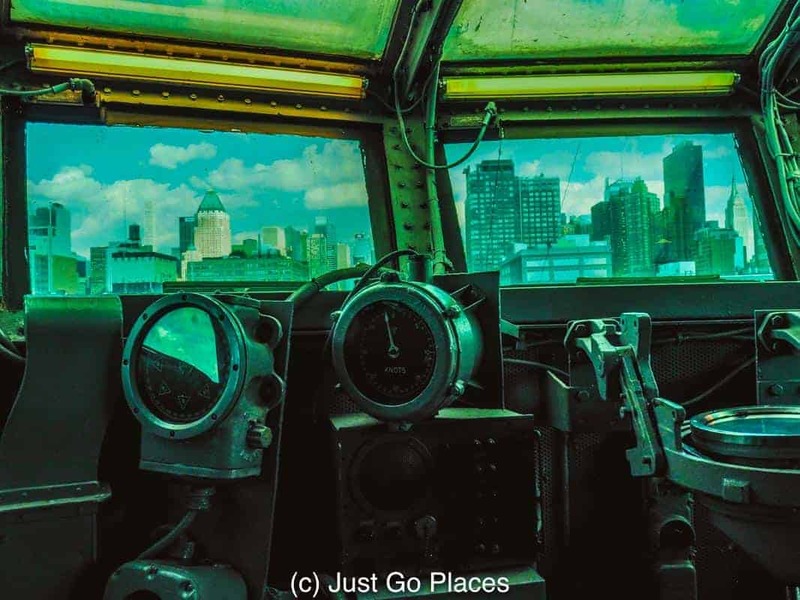 The view of New York City from inside the aircraft carrier, The Intrepid. The Intrepid Sea, Air and Space Museum is located on a former working aircraft carrier, the Intrepid, and also lets you go inside a former submarine. The New York City Pass lasts for 9 days once it is activated at the first attraction. Lucky you, if you have 9 days to roam the Big Apple. 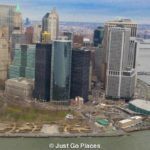 I’ve put together some suggested itineraries using the New York City Pass for a 3 day visit to New York City. 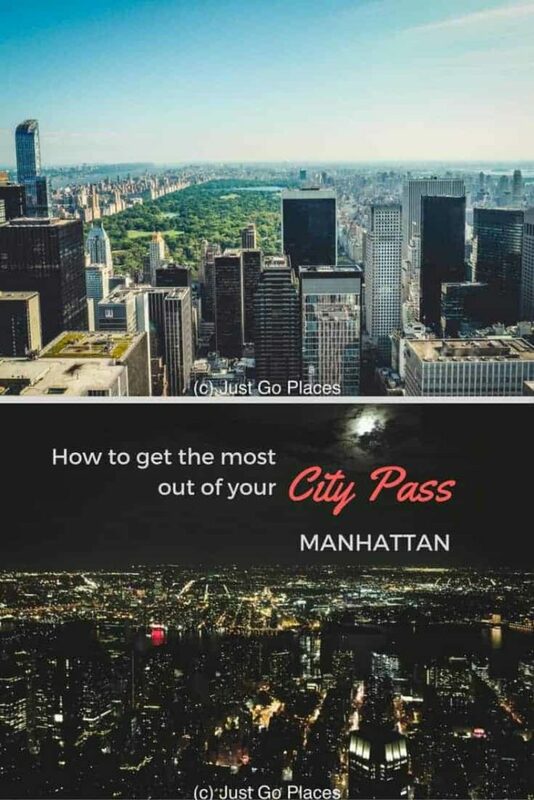 Use City Pass in New York City for access to the best sightseeing day and night. If you are a museum lover, start at the American Museum of Natural History and walk across Central Park to the Guggenheim Museum for the afternoon. The next day you can easily spend an entire day at the Metropolitan Museum of Art because the collection is so massive. Visiting the Empire State Building Experience at night gives you a magical display of Manhattan lights at night. 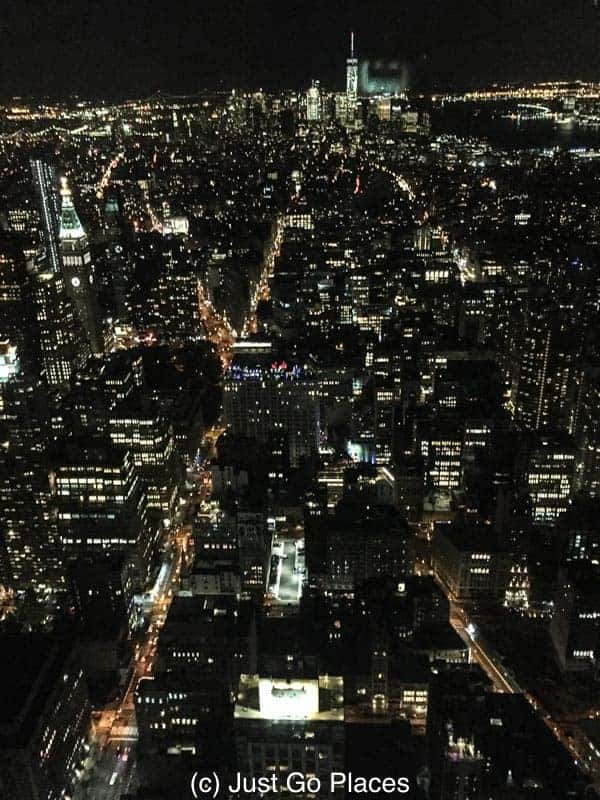 One of the best ways to experience New York City is with an aerial view of its nightscape. The third day can be spent exploring the museum at Ellis Island and either the 9/11 Memorial and Museum or the Intrepid Sea, Air & Space Museum (depending on your interests). Although both museums are excellent, I prefer the 9/11 Museum for its excellent curation of those tragic events. If you have children with you, I would suggest that you spent more time at the American Museum of Natural History on the morning of the first day. Children recognise it from the Night At The Museum movies with Ben Stiller. Between the dinosaur exhibits and the planetarium, most children love this museum. Then hang out at Central Park stopping off at the playgrounds especially the excellent Heckscher playground at 7th Avenue and Central Park South. The Empire State Building is once again a great place for the evening. 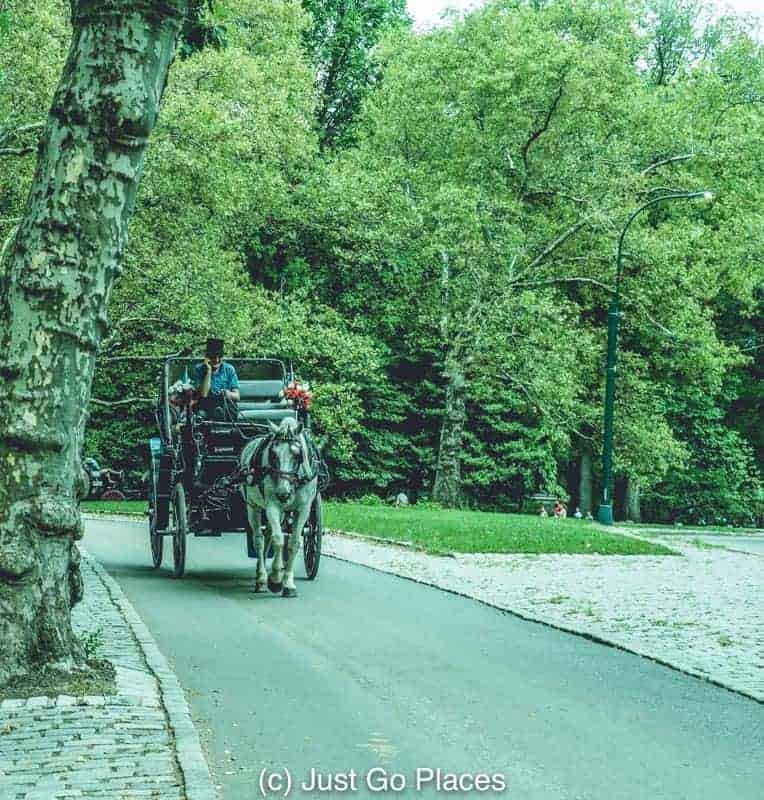 A horse and carriage ride through Central Park is still a must-do for many tourists. The next day watch New York City spring into action at the Top of the Rock Observation Deck. My kids can’t seem to get enough of seeing New York City from the top of skyscrapers. There’s plenty for families to do at Rockefeller Centre and nearby, including the American Girl shop and Radio City Music Hall. 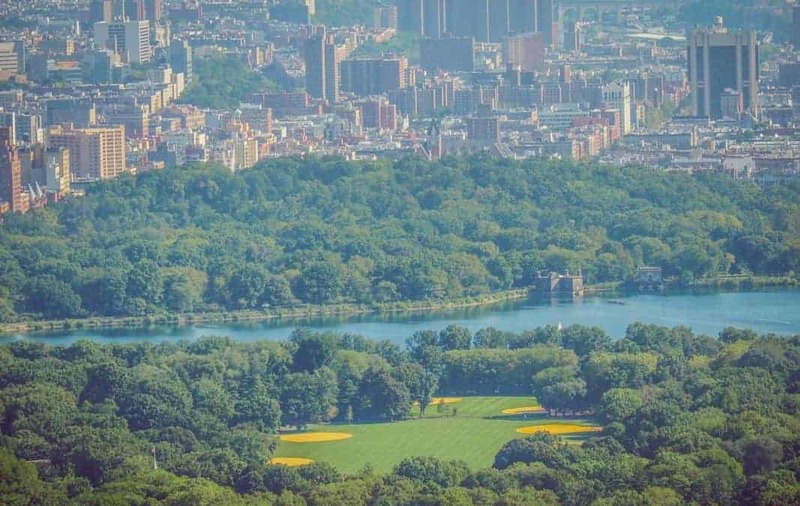 You can once again wander through Central Park on your way up to the Metropolitan Museum of Art. It’s either a 45 minute walk or a short taxi ride (depending on traffic!). Once again, there is a great view of Central Park from the rooftop terrace. On the third day, the Statue of Liberty & Ellis Island is a nice cruise for children and interesting history for adults. Alternatively, you can take a Circle Line Cruise which is conveniently located right next door to the Intrepid Museum. My kids LOVED the Intrepid Museum. I would suggest children be at least 8 years old before they visit the 9/11 Museum because the subject matter raises a lot of questions. The more graphic exhibits are zoned off and parents can decide if they want to go through that section. For example, the live coverage of the day, including of the people who jumped from the towers, is in this section. My kids love the American Museum of Natural History especially the planetarium. 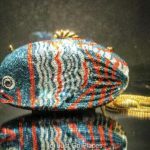 We did a short stint at the Metropolitan Museum of Art for my daughter to check out a special Faberge exhibit. She likes anything sparkly. I wanted to see the Psycho House exhibit on the rooftop terrace. 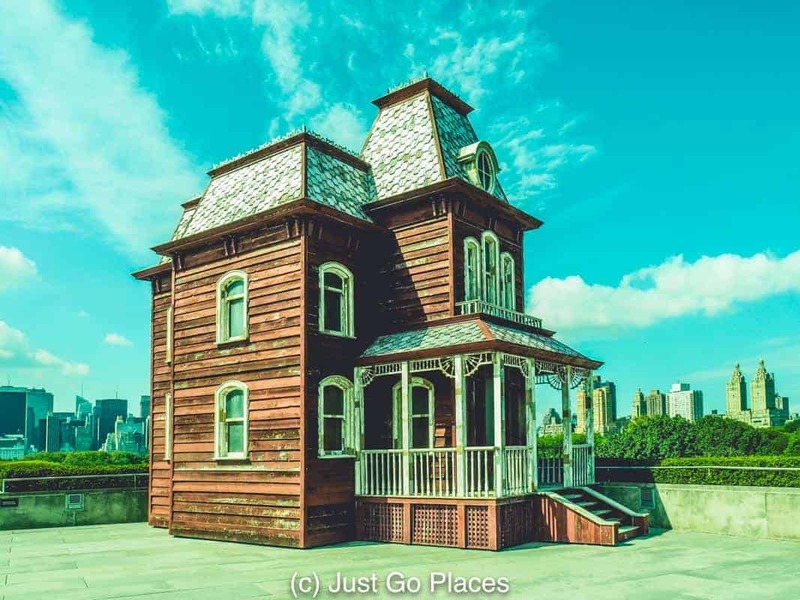 PsychoBarn is a special exhibit by Cornelia Parker on the rooftop of the Metropolitan Museum of Art. My children were duly impressed visiting the Statue of Liberty & Ellis Island for the first time. The audio guides that walk you through the monuments have a special children’s audio tour which they found entertaining. You need to book far in advance if you want to go up into the base of the Statue of Liberty and even longer (to get into the torch area). I’ve heard from friends that the inside of the statue can be crowded and claustrophobic. We went to the Empire State Building at night. As much as my kids loved the Guggenheim Museum, they preferred the Top of the Rock Observation Deck to another museum. I thought going at night would be less lines. Nope! Thankfully we breezed straight past the line with our New York City Pass. The third day we went to the Top of the Rock in the morning and then the Intrepid Museum in the afternoon. My kids can spend hours at the Intrepid – for example, it’s got an old Concorde, lots of fighter planes, a Space exhibit and a submarine to explore. Thanks to City Pass I am able to give away to one lucky person 2 adult New York City Passes (valued at $116 each for a total value of $232). 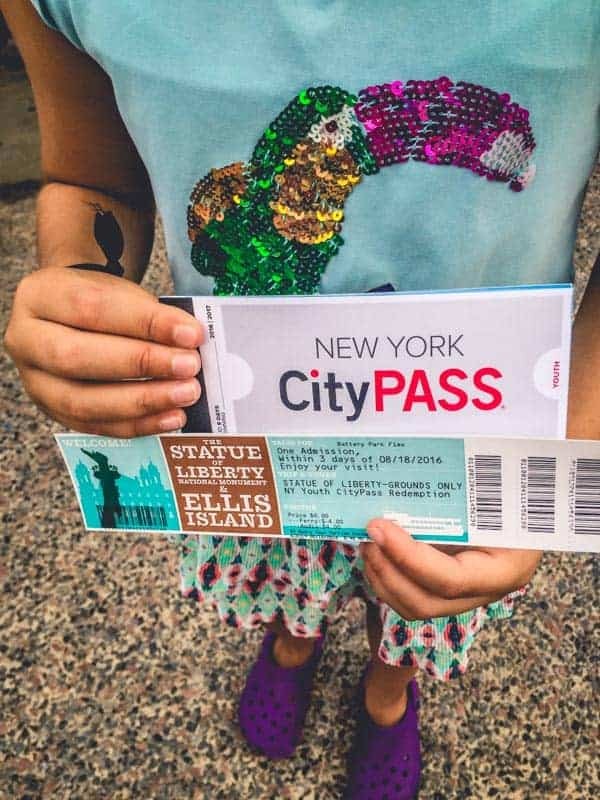 Please note that you can use the adult New York City Pass in lieu of a children’s New York City Pass. This giveaway ends on September 29. You have until February 28, 2018 to use the two City Passes. That’s plenty of time to plan a trip to New York City! The giveaway is open to anyone worldwide. The New York City Pass comes in a booklet with tickets you trade in for the attraction ticket. I partnered with City Pass to receive 2 New York City Passes and bought the third New York City Pass myself. All opinions are 100% my own. 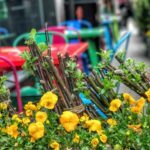 This post is linked up with Monday Escapes, The Weekly Postcard, Fly Away Friday, Weekend Travel Inspiration and Photo Friday. Ha ha. Neither can my kids. Every vantage view shows off different buildings that were hidden from another line of sight. The details of all the buildings are cool too – you never notice stuff like as a pedestrian from the ground. It has long been on my bucket list to visit Ellis Island and the Statue of Liberty! We finally did it this trip and it was fab! I’m not sure about going up into the statue – heard mixed reviews sort of like when we went into the Egyptian pyramids – a bit crowded, hot and claustrophobic. MOMA, because we don’t have any art nearby, and my wife and I are in New York for 1 day only in a couple of months. That sounds like a great reason. Not sure you can do all 6 but you can definitely get a couple in. What a great deal in an expensive and crowded city like New York. I lived in NYC for 20 years and love all these places. I’ve never been to Ellis Island and would love to do that, especially since my grandfather passed through there when he came from Germany. I hope to be in New York next year and would love to revisit any of these sights and catch up on what’s new. I’d especially like to see the newly spiffed up Empire State Building. It finally had some money spent on it do now the chrome is gleaming. I totally understand. You keep putting off playing tourist in your own city. I do the same in London. This giveaway is so exciting! I’ve always wanted to go to Ellis Island to see my grandmother’s name from when she immigrated from Ireland decades ago 🙂 Thank you for hosting! What a great reason to visit Ellis Island! We didn’t but the City Pass last time we were in New York and now I regret it. It seems like a really good way to see the city! We are planning on going next summer and the Statue of Liberty and Ellis island are at the top of the list! even as a New Yorker I’ve been tempted to get a CityPass to use on one of our school breaks. It’s an instant Bucket List of major attractions and having tickets to all of them at the ready is a great incentive to squeeze a lot in. I like Top of the Rock better then the Empire State (you can have the empire state in your photos). And I’ve not been to Ellis Island in years or to the 911 memorial at all yet (have to gear myself up a bit for it). The Met is so horrendously crowded these days, if you go, go early. I would love to visit the Tenement Museum. Is that included? Otherwise, any of the monuments would be fun in the Fall. Thanks for the opportunity to win! The Tenement Museum isn’t included but it is a great museum. You need to book a slot to visit because it is all guided tours only. I hope you do get yo visit! My mom was just saying that she wanted to go on the circle line. She loves visiting the Statue of Liberty and I would love to take her. It’s a nice view of the skyline from the water! I think city passes are a great idea, to see everything that is iconic about the city. We got the NYC pass for 3 days also, and it was a fantastic way to see everything that we had heard about. After that we knew enough about the city and where things were, to freewheel it. 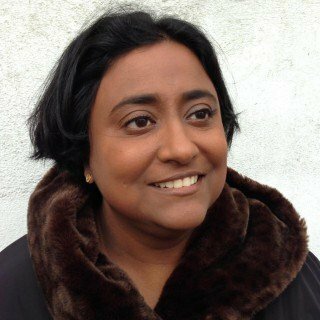 Shobha, I agree. I can only handle the main attractions little by little myself and I don’t have young children anymore. Corinne recently posted…Travel Mishaps Galore! It’s the waiting in lines that kills me. Such a waste of time. We visit NYC almost every year and every time there is something new to explore. 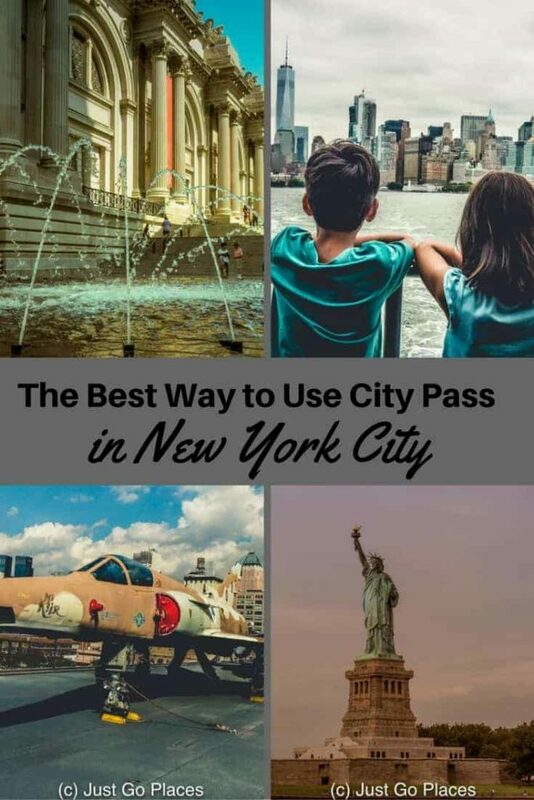 A city pass is a great way to experience the Big Apple! We always revisit some of the old favourites too. It’s definitely fun each year. I’d want to see the view from the Top of the Rock! I’m going to New York in December and City Pass would be awesome to have to go there with. I most want to see the American Museum of Natural History as I love ‘The Night At The Museum’ films (still a big kid at the age of 23). I do think City Pass is a great idea to see the iconic sights for a great price! Night at the Museum is just a classic! Awesome tips. Thanks for sharing. I’m looking forward to getting to New York and following them, you’ve made it so much easier. I’m sure you and the kids will love NY! You’ve included so many attractions here that I didn’t know were in NYC! I liked so many, but perhaps the Top of the Rock Observation Deck the most, since I like seeing city views from above and it’s located near Central Park. Thanks for sharing! I want to take my kids (ages 5 and 7) to the Met because I recently read From The Mixed-Up Files of Mrs. Basil E. Frankweiler to them and we all want to follow Claudia and Jamie’s trail. I’ve actually never been inside the Empire State Building. Just because I had no excuse (and no money!) Would definitely do that given the chance!! How cool!! What a great option if you’re going to NYC for a few days! Plus that makes it so much cheaper to do it this way than out of pocket! Thank you for sharing on #FlyAwayFriday! I’d take my husband to Top of the Rock to see the view of the city — but there are many other I’d choose as well. 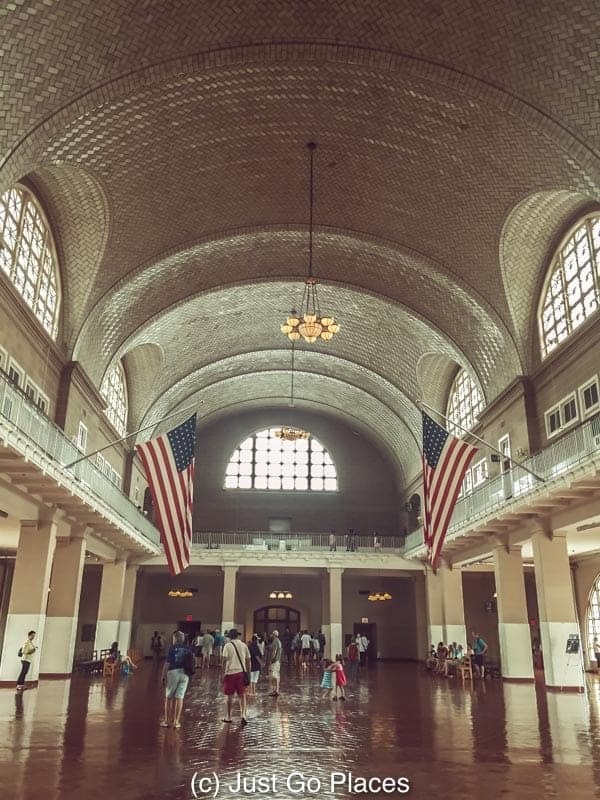 Ellis Island, many of the museums… great deal! Karen Dawkins recently posted…Club Carlson: Rewards and a giveaway! So exciting! We are visiting New York City in December and this time with a 9-year old who is so excited he can hardly stand it. We just finished reading the book ‘From the Mixed Up Files of Mrs. Basil E. Frankweiler’ so we are most looking forward to visiting the Metropolitan Museum of Art. Thanks so much for the giveaway! Fingers crossed!! 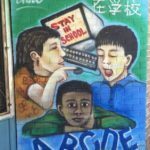 9 is a great age to visit NYC. Old enough to appreciate museums and explore the city on foot. This is a fab way to see the sights! Much better value than other options, and I love th Psychobarn exhibit. Thanks for the great guide! I love visiting NYC! I think the place I would most like to visit that I haven’t yet is the One World Trade Center Observatory. I’d also like to check out the Met and the Museum of Natural History. Well, this is exciting. We go to NYC every year, but we usually just eat lots of food and walk around and watch the people. I would definitely hit up the Met. Haven’t been there since I was a kid. Love seeing NYC photos! I was there exactly a year ago and miss it dearly! Love the tips and the pass! Thanks so much for joining and sharing on #FlyAwayFriday! What a great competition for anyone planning on visiting the Big Apples. The Ciry Pass sounds like a great way to see the big sights of you’re short on time. We visited as part of our honeymoon and got fast track tickets for the Empire State Building. We’ve have been queuing for hours otherwise. Next time we’re in NYC it’s bound to be with kids so I’ll keep in my your family itinerary. Thanks for linking up with #MondayEscapes! I’m visiting New York City the last week of October. I’m already excited, but your blog post got me even more excited to see the awesome attractions! The CityPass looks like a great way to see NYC’s best places. I want to see the Top of the Rock and Ellis Island. Thanks for a great post! This is a great way to see New York, at your convenience and time. Also a cost effective way and you get to cover more. One can probably never have enough of the Big Apple and would need to go there again and again. I agree. Every time I go something is different. Such a dynamic city. I want to see them all, but MOMA and the 9/11 Memorial are at the top of my list. Hi! I am very interested with purchasing the 3-day NYC pass for our visit during 4th of July week. My main question is.. Do we need to reserve a time for the Top of the Rock Observation Deck?? Thanks again for your tips!! No you don’t. You can just turn up but I’d suggest going early or late to avoid crowds. We showed up as it opened and had great views with no jostling for space etc.